Mike Winters dreamed of escaping his dead end job and living a peaceful life by the beach. His decision to start an online business unwittingly draws him into the dark world of international cyber-crime with explosive and deadly consequences. 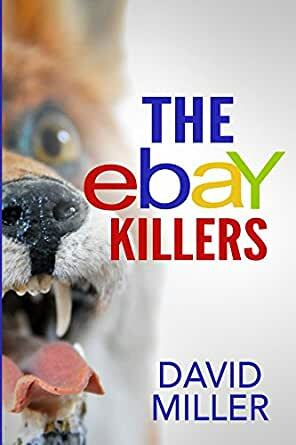 The eBay Killers is a rollicking tale of young love, assassins, suburban swingers, Interpol, bashings, AC/DC, the Australian Federal Police, Captain America, bikers, strip clubs, a stuffed fox named Tyler and the transformation of a leafy Canberra suburb into a war zone. The eBay Killers is David Miller's first fiction novel. It showcases his passion for all things Internet, love of writing and the knack for telling a good story (or two). He first started working on online in 1999 and launched Australia's first digital sports media service which delivered streaming live sports to clients such as Fox Sports, ESPN, NRL, NewsCorp, Telstra, and Vodafone. David honed his writing skills as creative director of his own online marketing agency and in 2010, he self-published, Launch Copywriting: How to Write Great Sales Copy That Gets Read & Converts Like Crazy! David lives in Canberra, Australia with his wife Kristin and their three sons Jacob, Ethan and Kai. When not roaming the family home at 4:00am working on his next writing project, you will find him racing dragon boats, or exploring the ocean on an outrigger. Such a fun - out of left field read. Enjoyable!